CMU's volunteers and networks — regional, international, identity, student organization-based and reunion — are integral to creating connections with each other and to the university. In recognition of these dedicated volunteers' great work, the Alumni Association Board established the Network of the Year Award. This annual award recognizes up to three networks (small, medium and large), selected by the AAB Awards Committee, for their successful efforts throughout the year. Winning networks are typically announced at Homecoming, and each winning network receives $500. 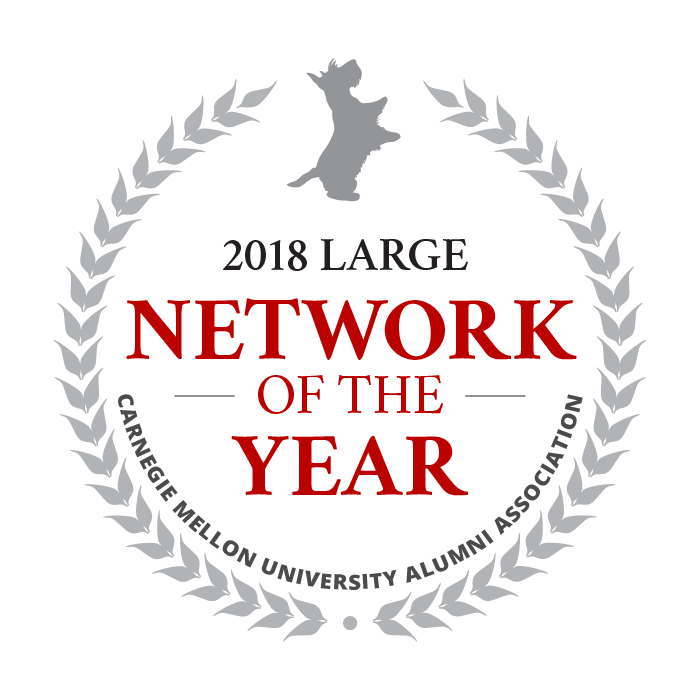 While we were unable to recognize our Network of the Year recipients at Homecoming this year, the following networks will publicly receive their award on a future date during this academic year. We greatly appreciate all that our networks do to engage alumni, parents, students and friends throughout the world. Interested in getting involved with a CMU network in your area? Check out our current Networks or complete the Volunteer Interest Form, and we'll be in touch! Worked diligently throughout the year to provide engagement opportunities to the Atlanta region through volunteer-led events. Averages almost one network program per month, including participation in Globally Plaid, events for the CMU Swim and Basketball Teams, and 1000+ Day of Service. Continued their Yinz to Y'all meetups throughout the year, which have become annual traditions. This year, the Carnegie Mellon Black Alumni Association (CMBAA) began a new era of engagement for CMU's black alumni and allies to the community. From November 2017 to April 2018, the CMBAA hosted region-specific events in more than five of our top 10 cities, engaging black alumni, parents and friends in these areas and bringing a greater sense of awareness to the importance of programs and events geared to minority communities. Spring Carnival saw the largest turnout of CMBAA members in CMU history! An estimated 100+ alumni returned to campus to celebrate the leaders and legacies of the black student experience at CMU. 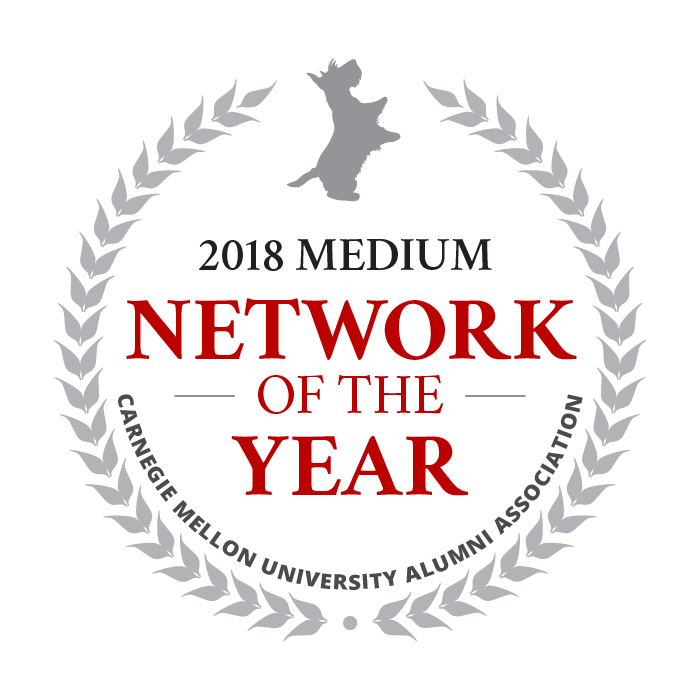 The Pittsburgh Network has the unique challenge of being located within the "home base" of the university and competing with the daily news, announcements and other opportunities provided by CMU. Looks for ways to engage alumni more deeply, works to connect with current students and continues to grow their signature events and initiatives. Dramatic increase in unique alumni event engagement, and an alumni giving rate of more than 40 percent. Engaged partners with multiple initiatives and teams, including School of Drama, cmuOUT, Highland Ambassadors, CMUThink and Connect, and CMBAA. Additionally, two scholarships support two rising juniors each year. The Network of the Year Award was established in 2013.